“Financial services company, FSA Group LTD launches Easy Bill Pay, a bill payment service which allows users to pay and store bills and organise their finances quickly, easily and conveniently. As many as a third of Australians pay their bills late and this can cost them money and affect their credit report. On average a late fee of $24 is charged and that adds up. A survey conducted by a major bank in 2016 concluded that Australians were charged $286 million dollar in late fees in 2016. There are many reasons people pay their bills late and it can be as simple as forgetfulness, disorganisation, time poor or lack of funds. Easy Bill Pay resolves these issues, by taking the stress out of bill management. It is easy to use; bills are stored in one place and can be easily accessed and payments are automatically made and on time. 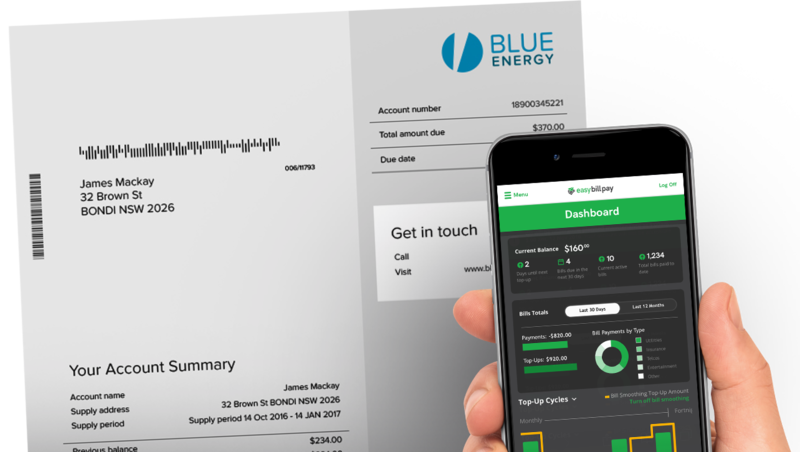 It gives the customer control over their bills and allows them to track paid bills and see future ones and all in one convenient location. It has a bill smoothing function which eliminates “bill shock”. With clever algorithms constantly looking ahead at upcoming bills, the bill smoothing functionality calculates a flat rate amount for each pay cycle to ensure all bills are paid on time and the funds are there to pay fluctuating bill amounts. With Easy Bill Pay, bills are organised according to the due date and bill cycle and they can be sent directly to Easy Bill Pay, uploaded by photo or manually uploaded. There are benefits to paying bills on time and these include taking advantage of the discounts offered by many providers when a bill is paid on time; an excellent payment history strengthens credit worthiness and importantly when bills are paid on time it eliminates the stress of late payments and overdue notices. Deborah Southon, FSA Director said: “Easy Bill Pay was designed around real customer experience. Over the past 18 years thousands of people have contacted FSA for help because they received a late notice, had received an expected bill or were continually paying late fees and they were stressed. Many of these people were time poor, disorganised, forgetful and in some case, just lazy. It was clear that there was a need for a service which could take care of this and that is why we develop d Easy Bill Pay. First-time users can trial Easy Bill Pay for free for the first 3 months, with a subscription fee of $24.95 per month thereafter.